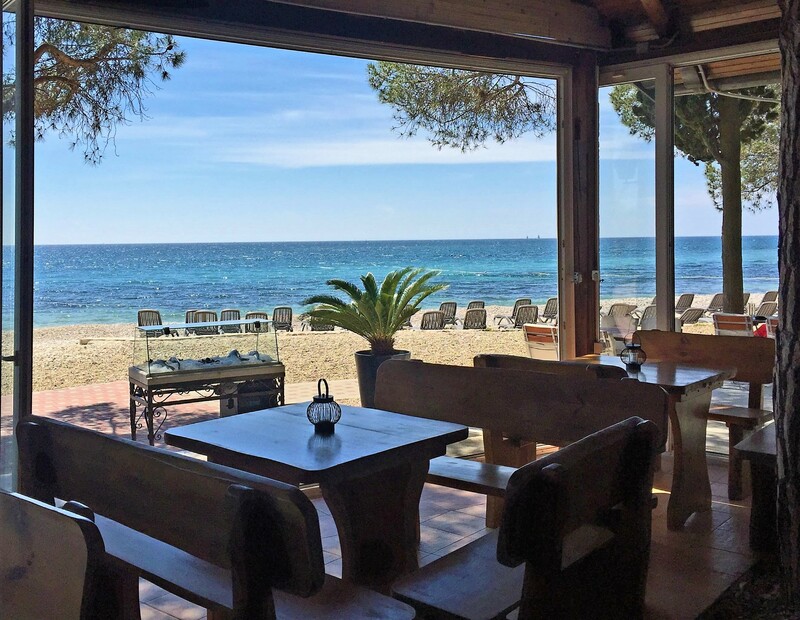 The beach restaurant with its open terrace and a beautiful view offers a unique atmosphere and quality service. 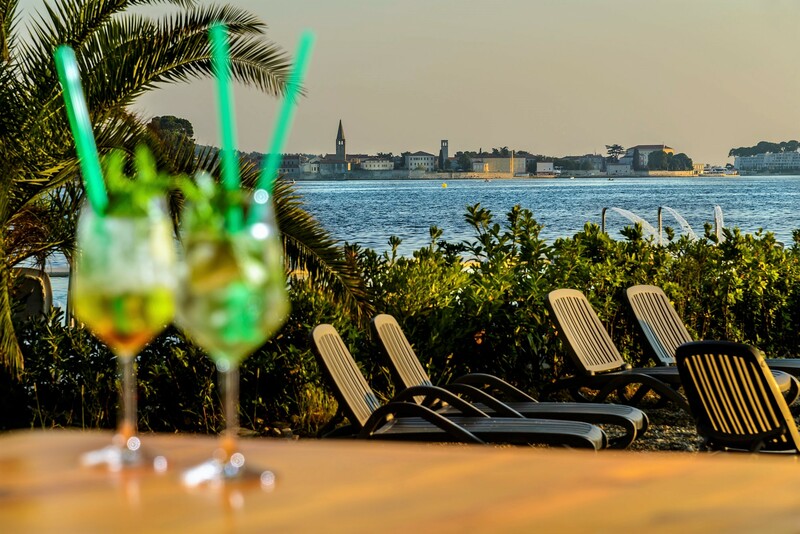 Wake up with a cup of coffee and a beautiful view of the beach and the city of Poreč, and start your day on the open terrace of our restaurant next to the sea. 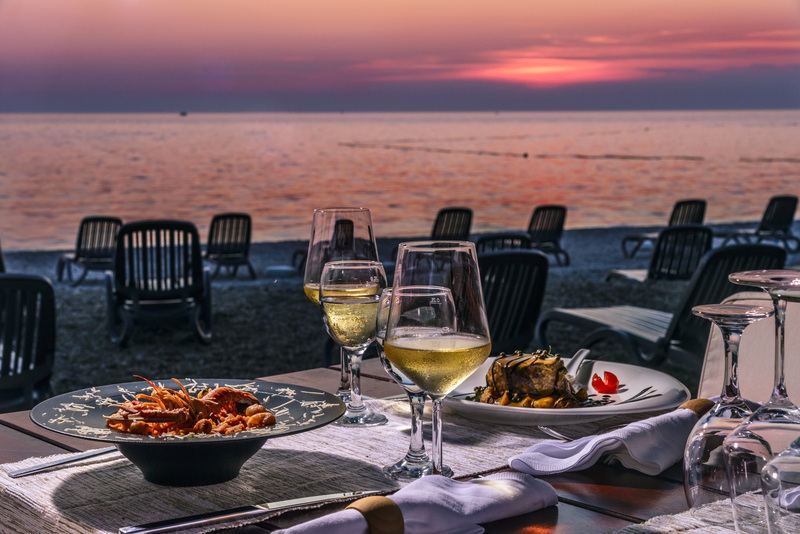 Then enjoy in the taste of meat, grilled fish or a bread oven pizza. 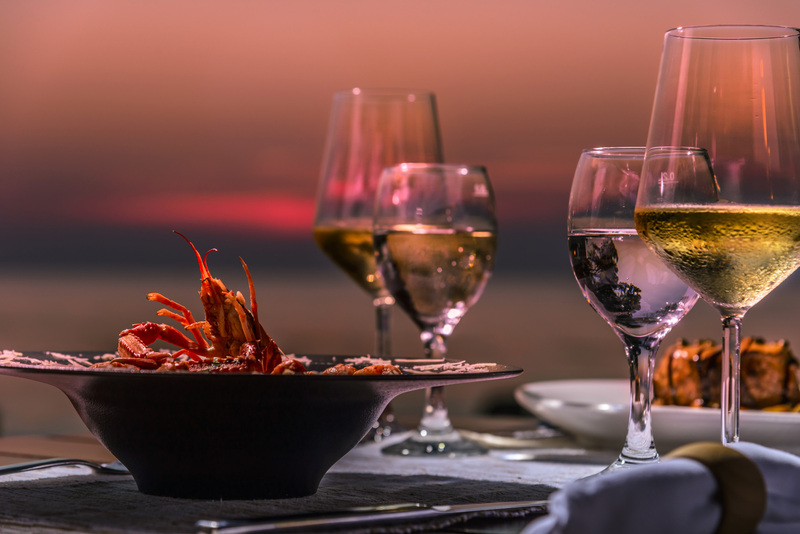 Here you can try fresh and locally caught fish and seashell, pasta and risotto as well as succulent grill steaks. 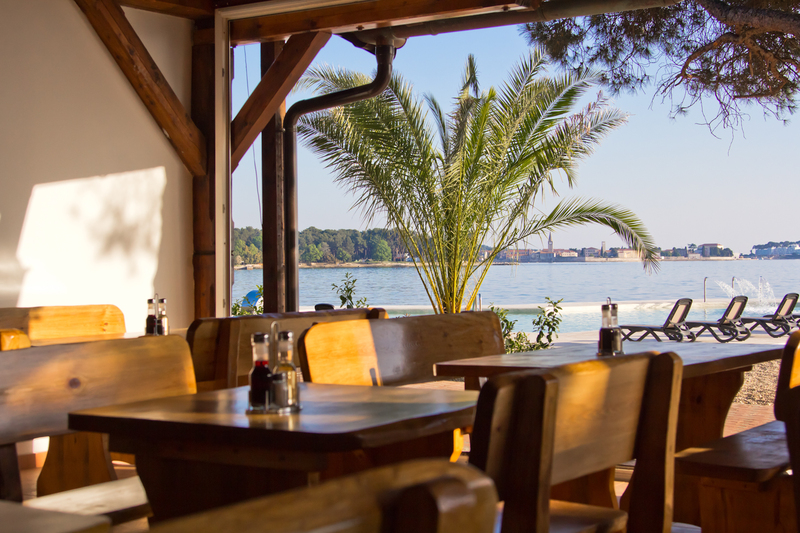 Regardless of your preference for meat or fish, pizza or pasta, our restaurant is a good dinner or light lunch choice. 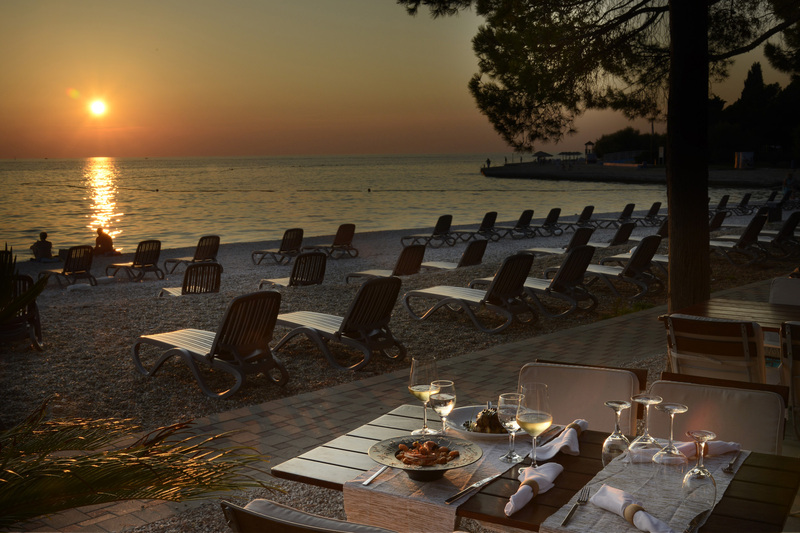 Our wine selection offers a range of premium and quality Croatian wines. One gets easily thirsty on the beach or in the swimming pool. 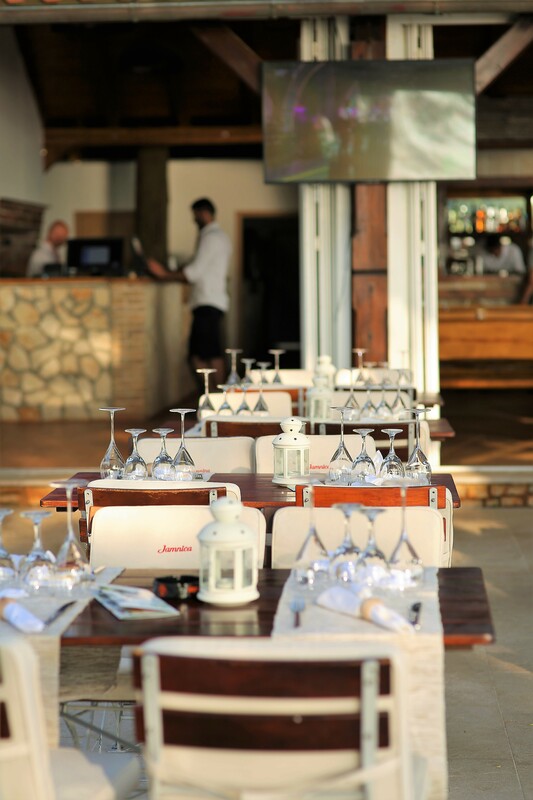 It's good to know that you can enjoy in refreshing drinks, cocktails, fresh fruit or a rich selection of homemade ice-creams on our terrace or in your deck chairs around the pool or on the beach.